Due to my new job as a writer at the Dana-Farber Cancer Institute I now find myself writing on a cancer biology beat. I feel like there are two ways to cultivate a beat, either you can grow into a beat by developing the background knowledge and sources over time, or you can be tossed into a beat and have to do your homework very quickly to get up to speed. Obviously, taking a job at DFCI forced me to take my basic knowledge of cancer research to a higher level very quickly. I still have a long way to go before I’ll feel comfortable with my cancer bio knowledge, but I’ve learned a lot from all of the great articles and books I’ve been reading over the last two months. 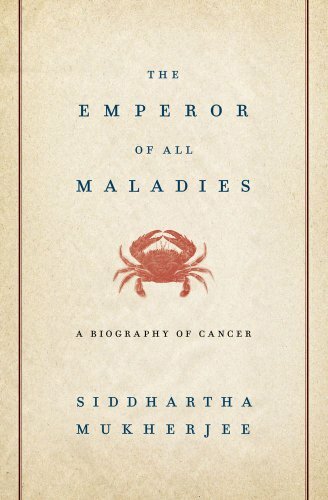 One of the books I read on the recommendation of a colleague who said it really helped her when she started on this beat, was The Emperor of all Maladies: A Biography of Cancer by Siddhartha Mukherjee. A former DFCI fellow, Mukherjee is a physician, scientist, and writer. He wrote The Emperor of all Maladies in 2010, and it received a tremendous amount of acclaim including the Pulitzer Prize for General Nonfiction. Very rarely in a book review do I say that I think everyone should read a book. More often I recommend books with caveats that if you aren’t interested in the subject matter, don’t like nonfiction, have trouble staying focused, etc perhaps you won’t enjoy a book as much as I did. I am recommending The Emperor of all Maladies for everyone, regardless of what you normally read or are typically interested in. This book, and Mukherjee himself, deserve every ounce of praise that has been heaped upon them. There is a lot of information in The Emperor of all Maladies, and depending on how and where you read it might take you a long time to get through. It will be worth it. I learned so much from this book, not just about cancer but about how to tell a long, complicated narrative in a way that is factual while still compelling. The patient narrative that the book starts and ends with brings a personal touch to the book, but the physicians, activists, and researchers interwoven into the story by Mukherjee also make this a deeply personal story. I think one of the biggest achievements of this book is being able to meld science and history to provide a foundation for the cast of characters that drive home the human impact of cancer. The Emperor of all Maladies is masterful at doing something that so much science writing on the web and elsewhere fails to do – it provides background and context for all of the claims that it makes. Granted, developments that have advanced our knowledge of cancer biology aren’t particularly controversial, but it is still necessary to illuminate the scientific process and make clear how these discoveries come to be. This book is just solid in so many ways. The structure is great, and very effectively drives the narrative forward. The personal stories add so much to the overall understanding of cancer and its impact. The science and medical information is clear and easy to understand. There is just so much that you can learn from this book. I don’t think I’ve come across another resource that was as interesting and entertaining while being as informative about all of the issues involved in cancer than this one. I recommend it to everyone because cancer is something that affects us all, if you don’t have it yourself then you know someone who has had to face that diagnosis. 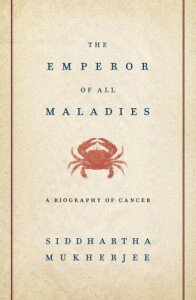 The Emperor of all Maladies really is a biography of cancer, and the crash course that I think we all could stand to go through for a better understanding of this disease. After an incredibly crazy month of traveling, interviewing, and moving I have officially started my new full time job at the Dana-Farber Cancer Institute in Boston. I announced on Twitter a few weeks ago that I accepted a position with DFCI as a science writer for donor relations, but I realized I never really gave my blog readers any background on what I’ll be doing. After all my whining and pontificating about growing up and joining the work force, it wouldn’t be right to not explain what my new job is all about. As a science writer for donor relations my role is to research, gather information, and interview PI’s about research projects (mostly pre-clinical and clinical) on specific beats that I’ve been assigned. The beats are all specific subdivisions regarding research at DFCI, it could be a specific group of cancers like women’s cancers, a particular research group or institute or a particular program or approach to looking for treatments. DFCI is one of the oldest and most accomplished cancer research institutes in the United States with a serious commitment to both research and patient care. Once I’m up to speed about what has been going on with a particular beat I write up a narrative report about all of the cool things they have accomplished in the last year. That report is given to donors to showcase the work that DFCI researchers are able to accomplish with the funding that the donors give to the institute. I’m just starting to get into my first project, but I’m really excited. I’m going to get to interview amazing researchers, and get to learn more about really interesting approaches to finding treatments for cancer and related diseases. DFCI is using the most cutting edge technology and processes available to come up with new incredible ways to take down cancer cells, and I get to spend my days finding out all about it. So, that is my new job in a nutshell. It required a move from New Jersey to Boston which has been an incredible, though tiring experience. For those who are interested DFCI has a fascinating (at least I think it is fascinating) history making breakthroughs in the treatment of cancer. DFCI was founded in 1947, as the Children’s Cancer Research Foundation, by Dr. Sidney Farber who was looking for a way to treat childhood leukemia. 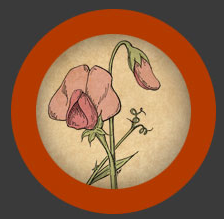 In the late 40’s leukemia was an automatic death sentence. Farber was the first in the world to achieve temporary remission of acute lymphotrophic leukemia (the most common form) using drugs (and later combinations of drugs) as treatment. The foundation expanded to include adults in 1969 and was renamed the Sidney Farber Cancer Center in 1979 in honor of its founder. 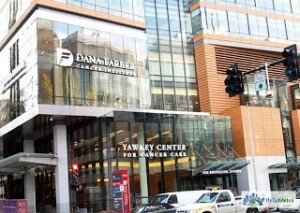 The name was changed again in 1983 to the Dana-Farber Cancer Institute to reflect the long term support of the Charles A. Dana Foundation. I’m going to guess everyone is familiar with the term chemotherapy, yes? Chemotherapy was developed at DFCI. There have been many other breakthroughs achieved at DFCI over the years, I suggest taking a look at the milestones to get a better idea. Another interesting bit of DFCI is the formation of the Jimmy Fund and the organization’s relationship with the Boston Red Sox. DFCI was really one of the first cancer research organizations to successfully use public fundraising and awareness campaigns. A radio program in 1948 featuring “Jimmy” a childhood leukemia patient being visited by members of the Boston Braves baseball team prompted a huge influx of donations and the construction of the Jimmy Fund building on what is now DFCI’s main campus in Boston’s Longwood Medical Area. In 1953 the Boston Red Sox named the Jimmy Fund their official charity after the Braves left the city, which is a relationship that continues nearly 60 years later. That is just some really basic information about my new job and DFCI in general. I really suggest taking a look at the DFCI website and the Jimmy Fund website if you are interested in learning more about the institute. I’m proud and honored to be working for such a great organization, and I can’t wait to see what comes next. Also watch this video, and feel the awesome. Note: By NO means am I an authority on cancer research or treatments of any kind. I am NOT a medical doctor, and am not qualified to answer any medical questions you may have. If you would like to talk to someone at DFCI, you can call the institute at 866-408-3324.